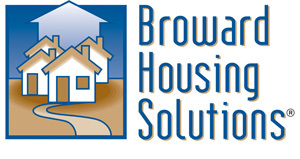 Want a creative way to donate to Broward Housing Solutions® while shopping? Go to India Hicks www.indiahicks.com/event/broward-housing-solutions/shopping Holiday items were just added! There’s something for anyone on your list: Bags. Beauty. Home. Accessories and Jewelry! It’s simple. Click on the link. Find an item. Buy it! Proceeds from your purchased will benefit Broward Housing Solutions’ 376 formerly homeless residents and their families, who struggle with mental illness. About India Hicks: India was born in London, England, and comes from both British and design royalty. Her father was famed interior decorator David Hicks, and her mother is Lady Pamela Hicks, whose father was the last viceroy of India, hence India’s name. India Hicks founded the company in early 2015 with two experienced business-minded partners, Konstantin Glasmacher, a serial entrepreneur and developer of innovative and disruptive business models, and Nicholas Keuper, former Managing Director with The Boston Consulting Group. Special thanks to Janet Jordan for connecting Broward Housing Solutions® to India Hicks and to Jeannie and Steven Hudson for opening up their homes to ‘Get Together Give Together’!